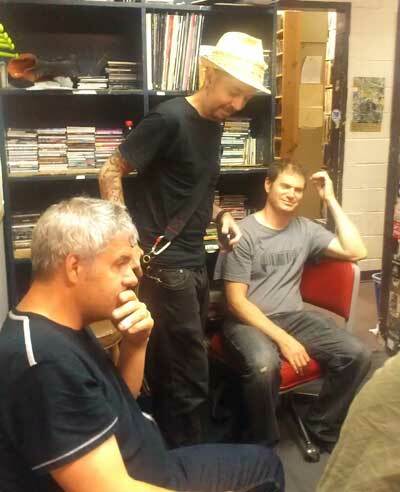 Ruin, Philadelphia’s inimitable and legendary band came down to the station to hang out, spin some records and talk about their highly anticipated Union Transfer reunion show (Saturday 8/31!!) future releases, past shows, sparklers and much much more! Ruin is more than music, or at least aspires to be more. Initially, it was a propaganda project. Students of the arts, philosophy and religion, doing lab work with music. Experimenting with ways of being human. Was, and still is . .
For more on Ruin Read this great article from City Paper. Next Next post: Communiqué is BACK!